Our best of the best!! 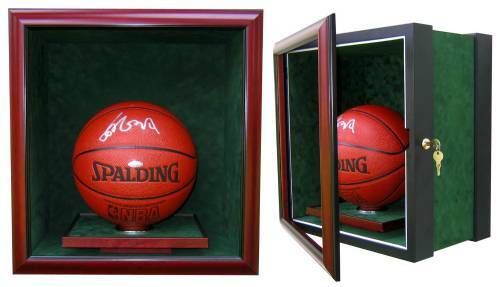 This case is for people who want the highest quality solid wood basketball case to preserve their priceless basketball. 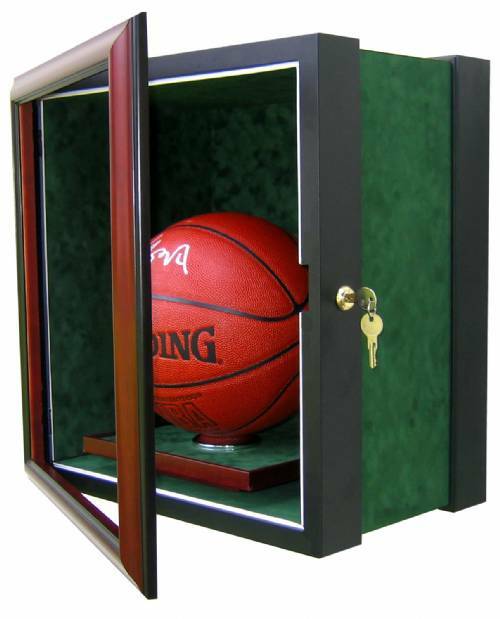 Case features a solid wood, hinged front door that locks to protect your basketball and comes in your choice of 5 wood finishes and 11 suede matting colors. Also features U.V. 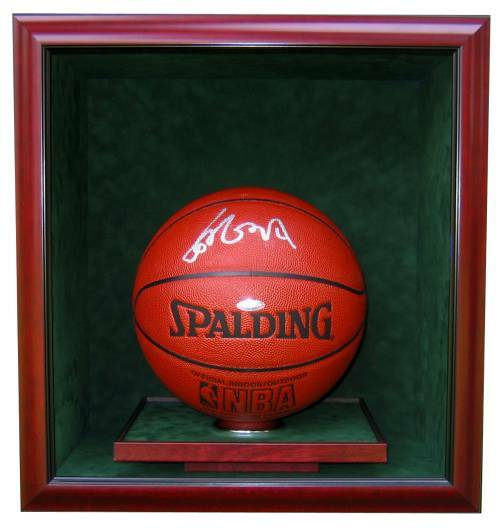 conservation glass which protects your basketball from 97% of damaging U.V. rays. Basketball sits on a matching suede shelf. Measures 16" wide x 11.5" deep x 18" tall and weighs 24 lbs. Handmade in the U.S.A. and NBA quality!